Following an exceptionally good September from a weather standpoint, October has arrived as usual with a cold spell, reminding to everyone (especially those who are either visiting or inhabiting the upper mountain) that the summer period has gone for good. Minimal precipitation and relatively high temperatures during mid and late September have given place to below zero night temperatures, more-intense precipitation and the appearance of the first snowflakes. it?s time for Olympus climbing to move at lower elevations? The weather reality has caused a halt to all climbing activities on the upper mountain due to excessive cold and the disappearance of sunlight from the north faces of Skolio, Mytikas, whereas Stefani east face gets the sun only for a few hours. 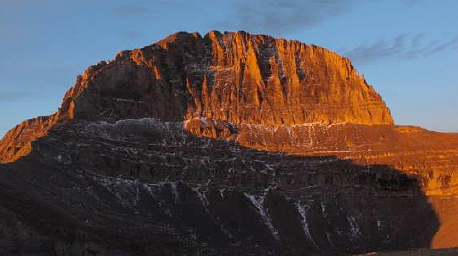 However, Mount Olympus has still to offer a variety of options for climbing in the lower elevations, where two newly established (Krevatia & Petrostrouga) and an older but very classic (Zilnia) crag do exist. 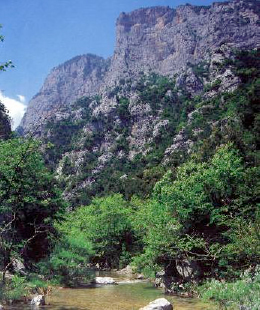 The lower crags contemplated by the higher climbing faces of Stefani, Skolio and Mytikas make Mount Olympus a complete in terms of type of climbing (sport, traditional, aid, alpine, mixed, ice) year-round climbing destination. 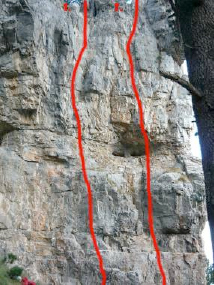 A new sport climbing crag has been established in the vicinity of Petrostrouga refuge. It takes about half an hour walking from the refuge to the crag where 6 spot climbing routes have been put up their difficulty ranging between 5c and 6b. All routes are equipped with bolts and the belays are equipped with rings so that top-rope is possible. For climbing in Petrostrouga crag you will need 8 quick draws, 2 slings a single rope and belay device. For more information contact Hellenic Rescue Team (www.hrt.org.gr) who is also in charge of Petrostrouga refuge (http://www.olympus-climbing.gr/index.php?page=refuges&id=4). The crag near Krevatia refuge (http://www.olympus-climbing.gr/index.php?page=refuges&id=4) is located in a unique setting as the scenery surrounding the crag is dominated by the north faces of Kokkala and of Profitis Ilias spanning an elevation gain in the range of 1500m. In terms of overall grading this crag is harder that the one in Petrostrouga as the route difficulties range between 6a and 8a. One the most historical climbing areas in northern Greece. 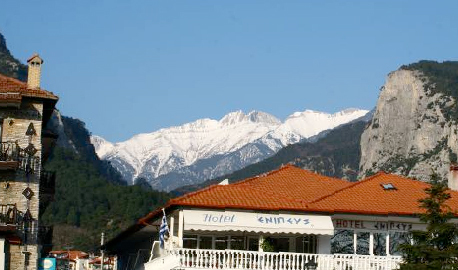 It was initially discovered in the mid 1960?s from Thessaloniki climbers in their effort to find a place for alpine climbing during the winter months. 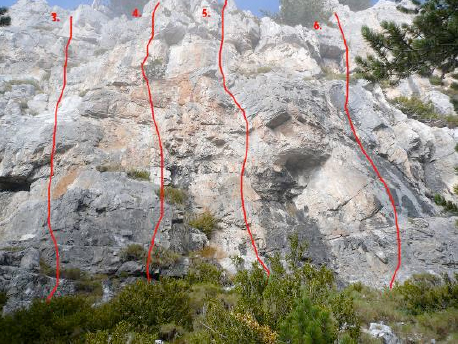 Today in Zilnia crag there exists a great variety of multi pitch routes involving all types of climbing (traditional, aid, sport) with route lengths ranging between 120 and 300m and difficulties ranging from UIAA IV ? VIII+, while aid difficulties range between A1 (Eagles ridge, Kopsi ton Aeton) to A4 (Beast in the Cage, To Thirio sto Klouvi tou). Its low elevation and south facing aspect makes it climbable year round (except the hot summer months), while the variety of climbing makes Zilnia a very good school for future alpine projects.